MAH CET 2019 Exam Dates have been released. 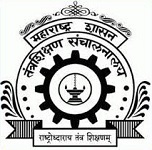 MAH CET (Maharashtra Common Entrance Test) is organized by DTE, Maharashtra. It is organized to offer admission in MBA and PG management programmes. It is a state level entrance examination of Maharashtra. The admission is provided in all government and non-government management colleges in Maharashtra state. The examination is also called as MAH MBA CET. The exam is held once in a year. Through this article, candidates can bet the complete exam schedule of MAH CET 2019 examination. MAH CET 2019 Exam Dates have been released. The examination was held on 9th & 10th March 2019 through online mode. Check other dates from below. The MAH CET application form 2019 has been released via online mode only. The application form has been released on 11th January 2019. The last date to fill application will be 18th February 2019. Candidates can download the MAH CET admit card in 1st March 2019. 2 weeks after releasing of admit card, the examination was held on 9th & 10th March 2019. Candidates can check their MAH CET result on 31st March 2019. After the declaration of result, counselling procedure will be commenced. If you have any query about MAH CET 2019 Exam Dates, You can ask us here.